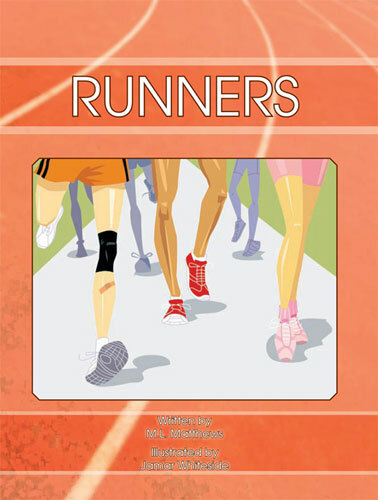 “Runners” is a book for adults and children of all ages. The illustrations are creative and fun and the text is presented in English and Spanish so families can learn another language together! “Runners” discusses how all sorts of people run the race of life. Each of us runs a figurative race. We run at our dreams. We run into challenges. We run to keep pace with our global society. We run!